Donald Trump's daughter Ivanka's clothing line suffers boycotts! Ivanka Trump clothing line is suffering a backlash from her father's antics.Four more retailers have followed Nordstrom's lead to drop the daughter of America's president's fashion brand from their store. 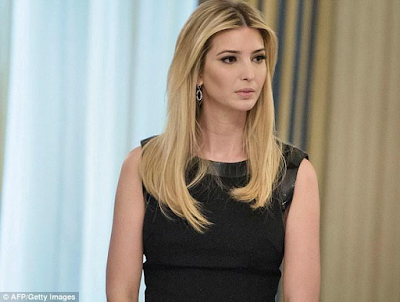 Belk, Jet, SHopStyle and Home Shopping Networks, all stores that used to stock the first daughter's fashion brand, have announced that they will no longer carry her brands. boycotting businesses that the Trump family profit from. "Taking a call in the White House with my personal assistant Theodore." As at yesterday a search for 'Ivanka Trump' on the online stores of Belk, Jet, ShopStyle and Home Shopping Network no longer showed any of her items for sale. Meanwhile, just like Nordstrom, these stores have denied that the move was politically motivated and claim it has to do with a massive drop in sales. "At HSN we are non-partisan and our product decisions are based solely on a continual evaluation related to our business"
A representative from Belk also disclosed that their decision to remove her clothing brand was based on the performance of the brands they carry.